Shortly after the establishment of the Gera Buddhist group in 2006, we were able to move into newly renovated and newly furnished rooms, which are very centrally located only 300 meters from the main train station. 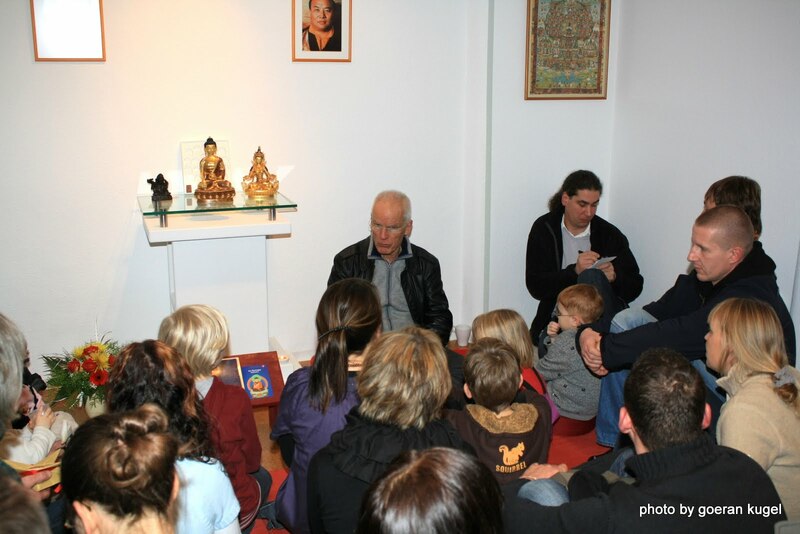 Our meditation room was visited and blessed by Lama Ole Nydahl in 2010 during a blizzard and cold snap. In the spacious center apartment there is also a fully equipped kitchen and a lounge. If required, we offer lectures for interested parties, school classes and groups. 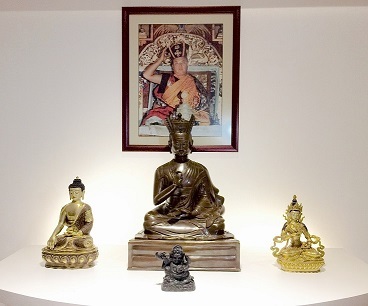 the Buddhist Group Gera meditates together on Mondays at 20:30. You are cordially invited to participate in the free 30-minute guided meditation in small groups. An advance booking is not necessary, you do not need to bring anything special. After the meditation, we will gladly take time for your questions.